The logo for the series on iTunes. 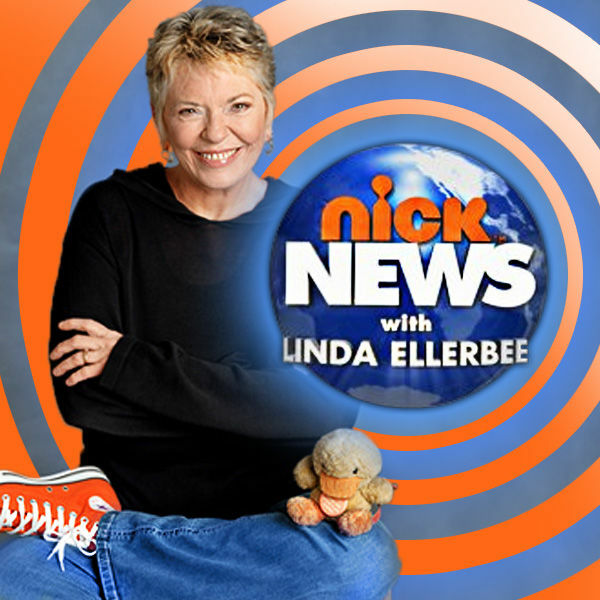 Nick News with Linda Ellerbee (also known as Nick News W/5 in its earliest years) was an irregularly scheduled half-hour news program on Nickelodeon that began on April 18, 1992 (it is possible some episodes claimed to have aired in 1991 were simply aired as Nickelodeon specials). The show focused on news events and discussion with children about issues in the world. Despite low ratings for Nickelodeon, the show was successful in classroom and educational settings, and aired a total of 178 episodes between 1992 and 2015. The show received a number of VHS releases, the majority of which are now difficult to find: the episodes "A Conversation with Magic", "Stranger Danger", "Clearing the Air", "When Bad Things Happen", "Kids of Cons", and "There's No Place Like Home" were released on VHS. Only one DVD release of the show occurred: the episode "Under the Influence: Kids of Alcoholics". Due to the lack of major home video or digital releases of episodes from 1992 to 2010, a large number of them have been lost/not posted anywhere online. A small portion of episodes that are not present on the IMDb episode guide have appeared on YouTube, making it likely there are even more lost episodes that are not on the episode guide. Episodes from 2010 to 2014 are available as free podcasts on iTunes, and some late episodes can be found on Nickelodeon's official website for the series.